KRUPS builds products with only one intention – perfection. This I know from over three years of the most reliable coffee grinding service my family has ever had. 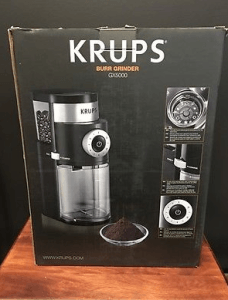 This particular burr grinder was inspired by professionals and designed for connoisseurs; the KRUPS GX5000 Professional Electric Coffee Burr Grinder (wow, that’s a mouthful!) 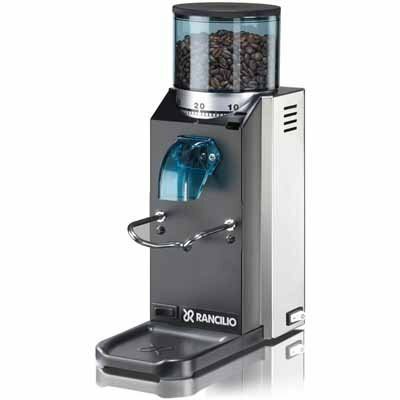 is a unique machine that is here to give you one hundred percent of what you are expecting, which is, presumably, a great grind so you can make amazing coffee! 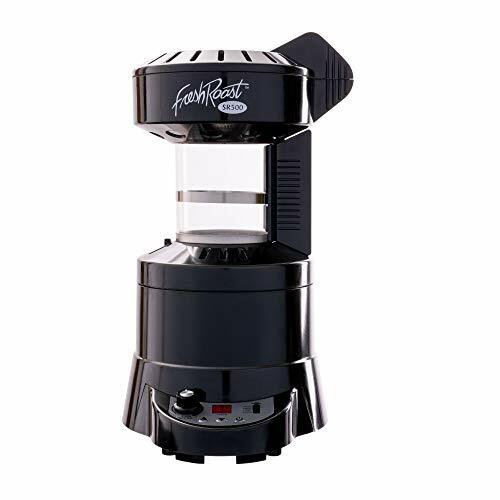 Not only you will get perfection in your cup, but also will enrich your kitchen with a mighty and modern looking coffee beast that will grind your coffee in the exact way that you want it. 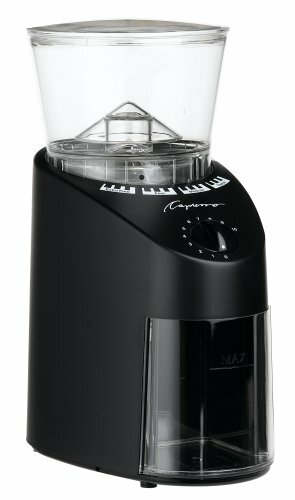 Relatively quiet and extremely fast, you can use the KRUPS GX5000 every day, and there are people who brag that they were using this grinder literally every morning for a decade or so. That’s really quite a feat, but now that I’ve used it, I can believe it. I took the leap of faith to getting the KRUPS GX5000 when our old blade grinder bit the biscuit, and I’m not sorry I did. 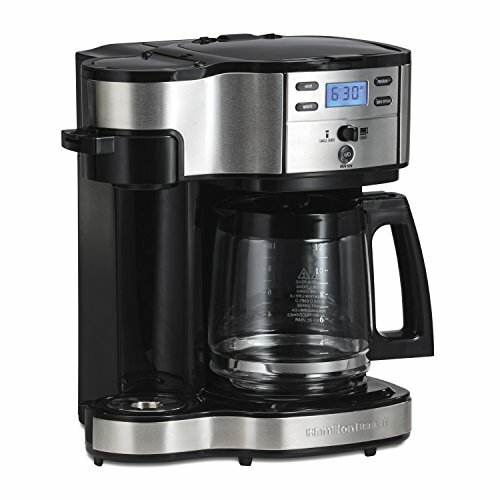 First of all, when comes to electric coffee grinders there is one thing we really hate and that is the overheating. Thanks to the great design KRUPS burr mill system ensures the best grinding results and will avoid overheating. 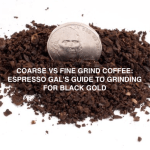 You can literally make grind and brew a few times a day to get your fair share of coffee, although I wouldn’t recommend overtaxing the machine – it does have its limits, and its not meant to be used like some $800 commercial grinder. That said, they do call it a “professional” unit and I can see why. It is very versatile. 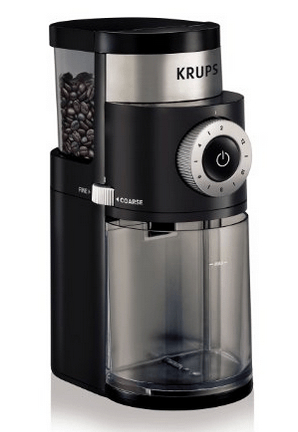 For instance, the KRUPS GX5000 features a fineness selector, or, to be more specific, this electric coffee grinder has 45 settings divided into 9 steps that will allow you to have a highly controlled and consistent grind. Now you can have total control over your grind – fine or coarse – and damn, you know it feels pretty good to have that for only about $50, depending where you buy. This means that all brewing styles are at your finger tips. Have a Chemex? 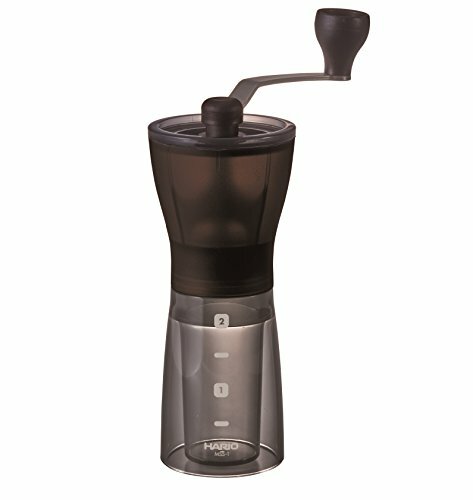 Moka pot? Whatever – its all good, folks! As I was saying, you can go from a fine blend for espresso machines to extremely coarse that you can use for French press home brewing. 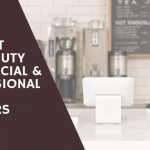 Not wanting to miss out of different brewing “opportunities” you might say, we had to we sprung for one of each – the Espresseria, also by KRUPS is a great espresso machine which we picked up for a great deal. 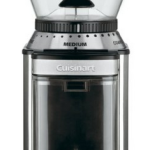 And then we also got the nifty little Bodum Brazil French Press, so depending on our mood that day, we can go with one brewing style or another, or we can just grab the old coffee maker and go right down the middle. 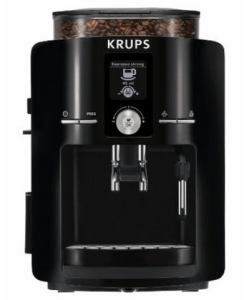 KRUPS GX5000 allows you to select the number of cups you want and you can pick any number between 2 and 12. This is by far the best thing about it, IMO. It is a time saving solution, and its really easy to get the hang of and work it into your routine. If you ask me, the KRUPS Professional Burr GX5000 was designed to look like a bad boy. It’s black, its stylish, and it gets the job done in a hurry, and with utmost efficiency. It is made of several components, including the main body where the electric burr is located. 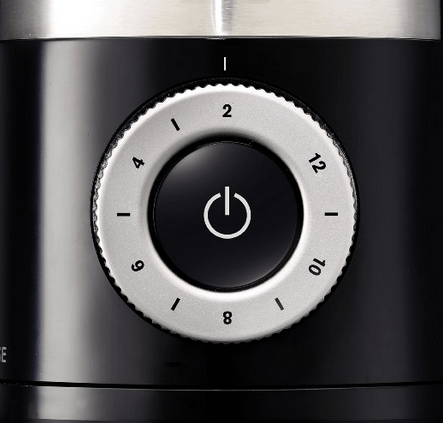 Each part of this coffee grinder has its purpose, and I think the design overall is very impressive. This also helps with cleaning because you can take it apart easy to clean it as needed. The bottom plastic see-through container is big enough, as mentioned above, to contain up to 12 cups of coffee. Here you can see a small line and the word “MAX” which indicates the limit. I think 12 cups is enough for me, but some may want to go larger for any number of reasons. 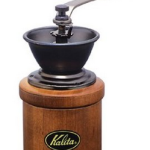 If you are looking for a significantly bigger grinder, you’ll probably be pleased with something int the $200-$500 range, which is where things start to get really “professional” you might say. As you might imagine, the top see-through container is the place where you put the coffee beans. Then, you simply place the plastic lid above it and start the grinding process. I try to keep this area clean, although since it merely holds the beans there isn’t much to do but dust it out once in a while. In the middle of the machine you can see the power button that with only one push will turn the coffee beans into your desired blend, looking very much like a computer power button I might add. 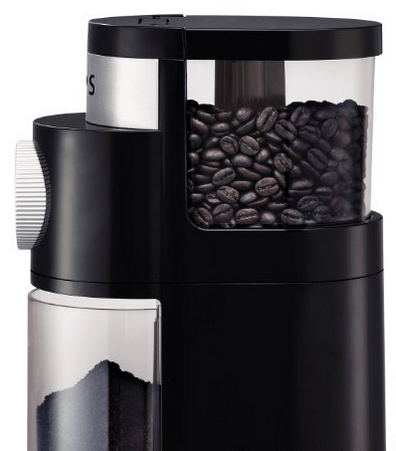 The KRUPS GX5000 Professional Grinder here features an anti-static coffee container with lid that preserves freshness and flavor of the ground coffee. That said, I use a coffee storage vault to store my grinds if I don’t use them immediately, because I know that the grinds will still lose their freshness relatively quickly if not stored. Before you worry too much about that, take a look on the right side of the GX5000. Right between the containers, there is a round indicator that with moving on the left or right will set the grinding from fine to coarse. We did a little test by putting coffee beans in the lid hopper just to see if they will stay fresh inside. Although it is much better to have them ground, the coffee beans were perfectly safe to stay in there for a little while. Depending on how finicky you are about freshness, you may not want to do this, but if you’re in a pickle, and you need to run out the door, I think this is ok.
As you can see the plastic is a bit dark, which prevents light from getting in, if not oxygen which will ruin the freshness of the coffee beans after a while. That said, the lid closes firmly enough to keep them dry and aromatic for several hours. 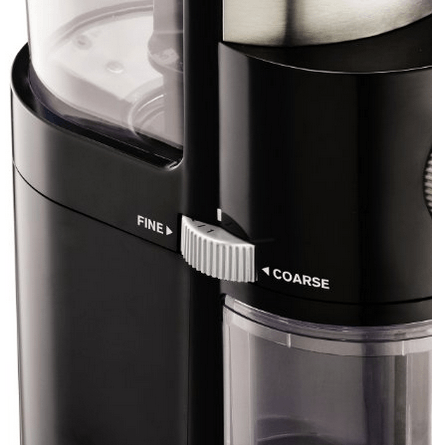 The designers were smart enough to design this electric grinder to be safe, safe, safe. 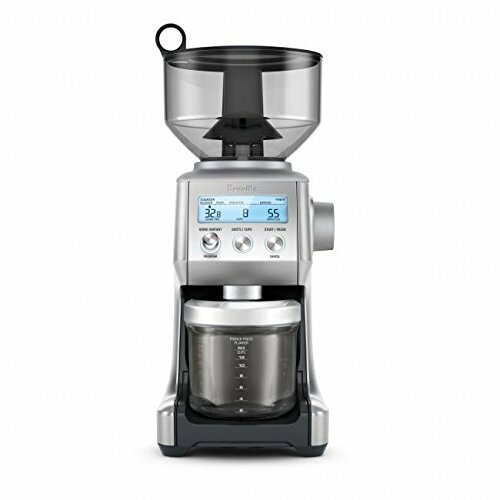 The GX5000 Coffee Grinder will not work unless the lid of hopper and coffee container are in place; also, the unit will automatically stop once the designated quantity has been achieved. 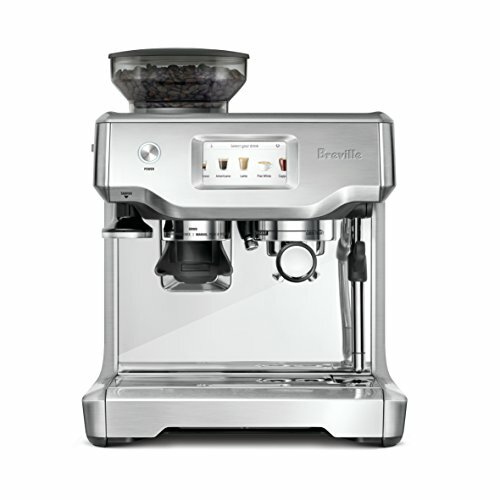 Now, we really can relax while the grinder works, because this beauty is automatic! It is not necessary to keep your finger pressed on the power button, because once you do that, the KRUPS GX5000 will do its work by itself. If this grinder was a person, I feel like it might be Ryan Gosling from The Notebook. It holds the coffee beans close, and says all the right things to them…Umm..yeah. 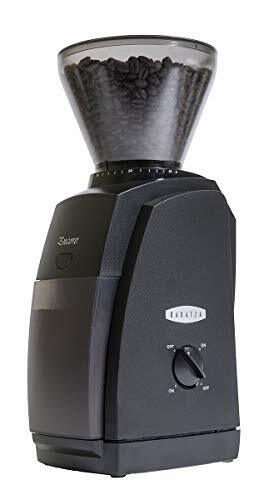 Topped with a large capacity hopper, the grinder fills effortlessly and provides easy access to the burrs (which, by the way, are removable). The elegant black brush that comes with makes the maintenance easy because you can reach every part of it. 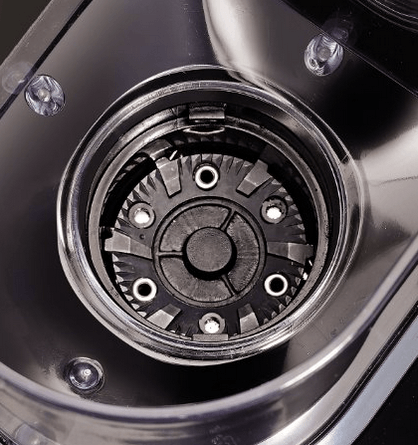 The burr mechanism is made of stainless steel. 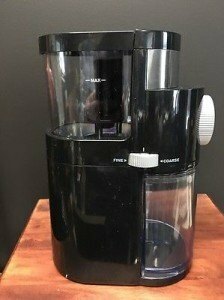 Now, the price may be a bit high for some at close to $50, but we don’t think it is that high for this efficient electric, automated coffee dynamo. 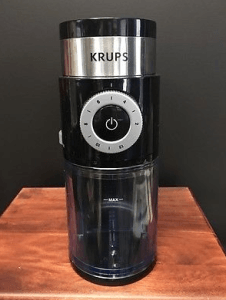 The KRUPS GX5000 is a powerful machine that literally will take no time to grind the coffee exactly how you want it and when you want it. All brewing styles are achievable. It was designed to last at least (and I repeat, at least) ten years if you’re good to it, and, for $50, that might as well be forever. I think I’ve said enough about this machine – I am a fan! The Amazon reviews are mixed with the “blade” grinder by Krups. 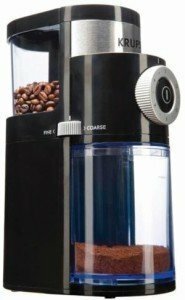 Most of those reviews are NOT for the burr grinder. I think i saw that “ten years” reference, and i believe it was about the blade grinder model. 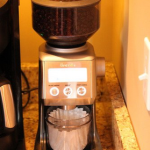 The burr grinder model seems very much less reliable, unfortunately. This is a POS grinder. My first one quit working within a couple of months. Same for the second one. I’m done with wasting my money on Krups Krap. Can you elaborate on why it just stopped working?